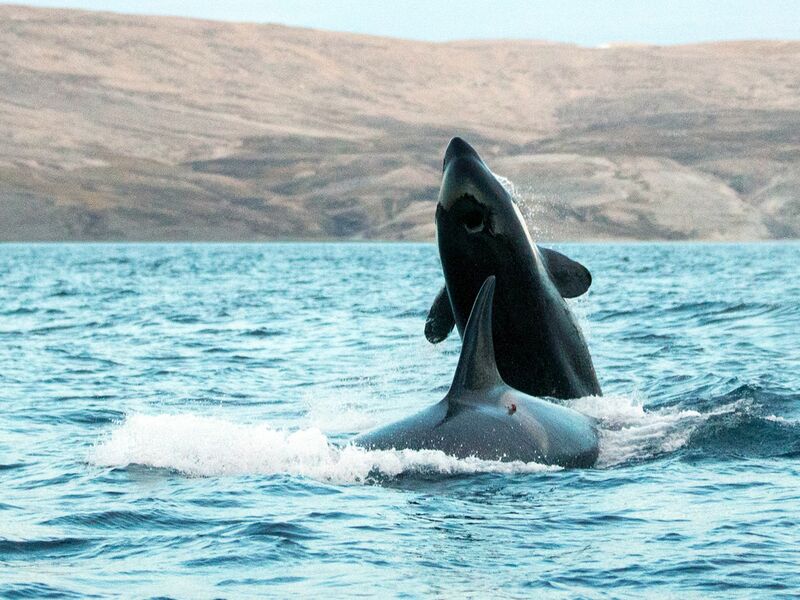 Two killer whales. This image is from Invasion of the Killer Whales. 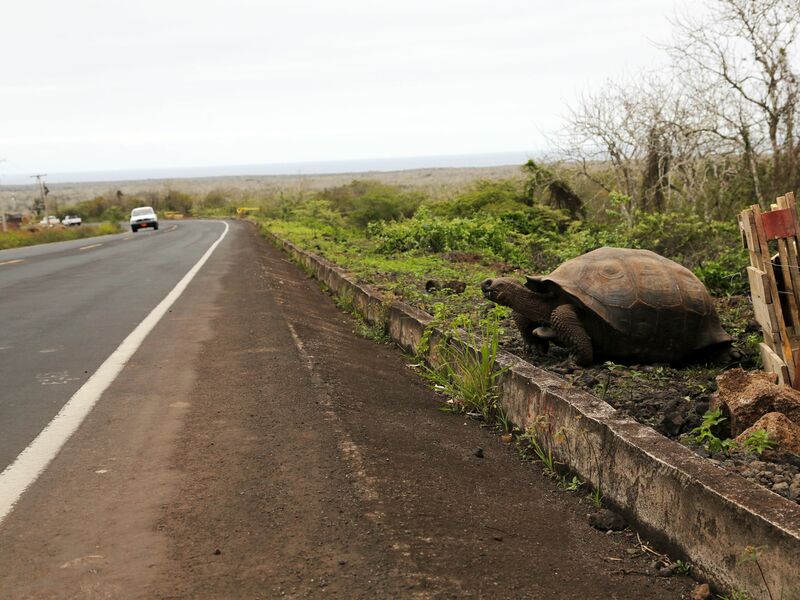 Santa Cruz Island, Galapagos, Ecuador: An approaching car interrupts a feeding Galapagos tortoise on the Galapagos' most populous island of Santa Cruz. This image is from Access 360°: Galapagos. 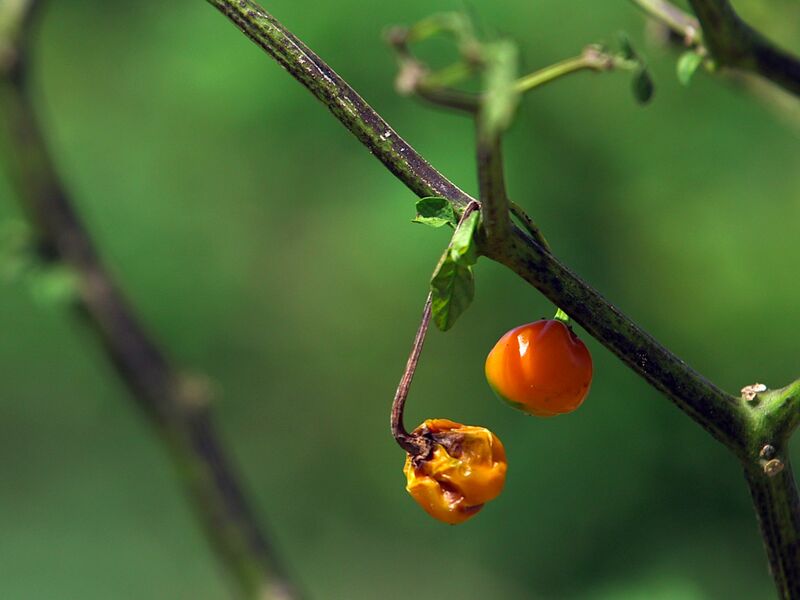 Mars Hill, NC, USA: Thorn in the woods. This image is from Live Free or Die. 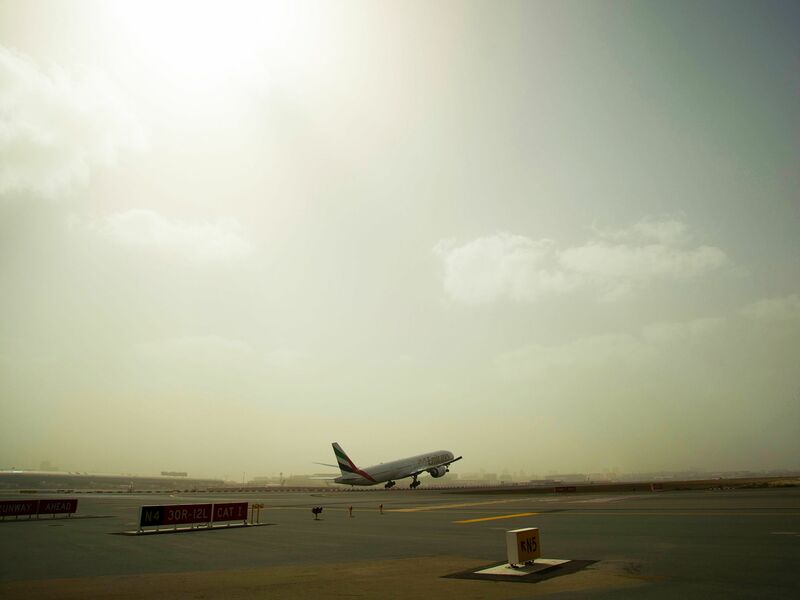 Dubai Airport, UAE: A picturesque shot of a plane taking off. This image is from Urban Jungle Ultimate Airport Dubai. 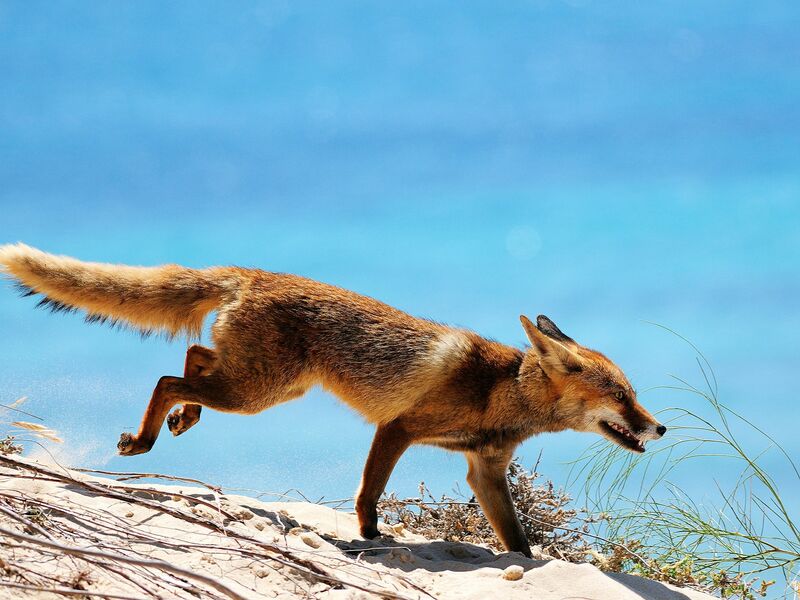 Spain: After having travelled more than 700 kilometers a fox eventually reaches the Doñana near the Atlantic coast. 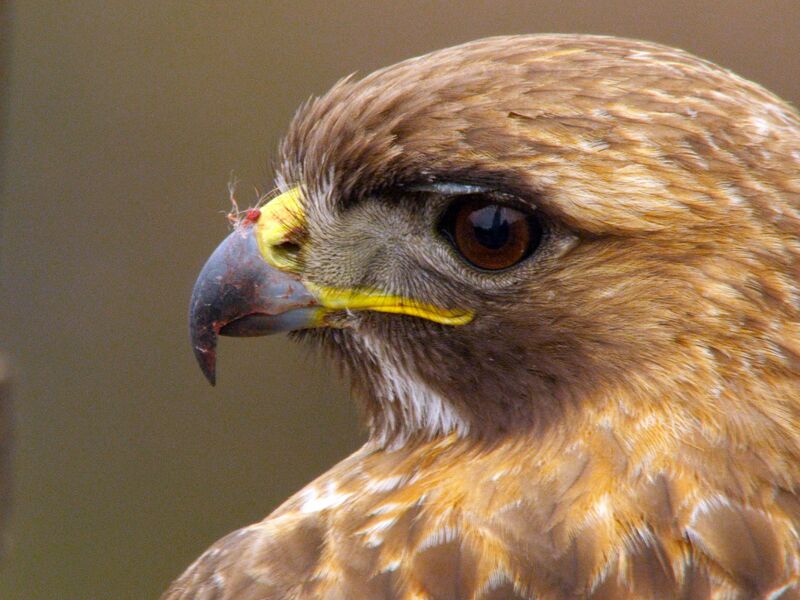 This image is from Wild Spain. 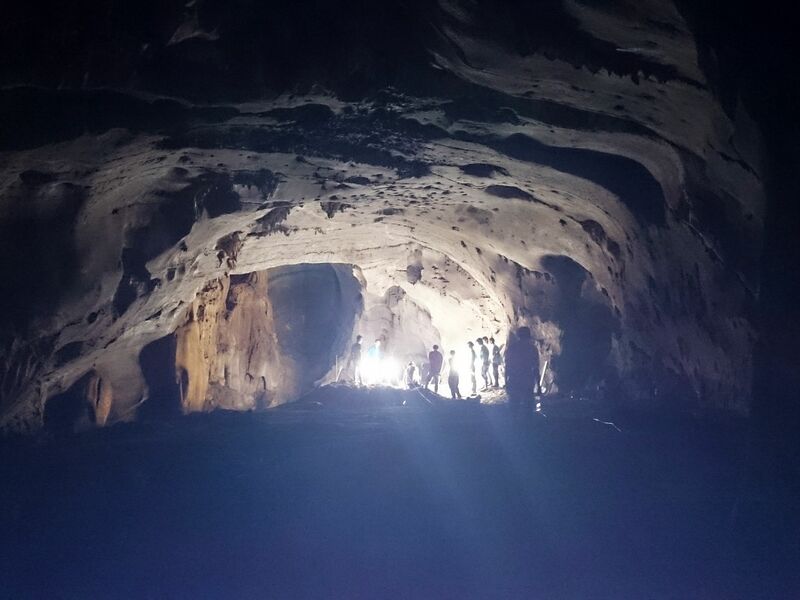 Banda Aceh, Indonesia - Science crew inside the coastal cave where ancient tsunami deposits have been found.â¨This image is from The Next Mega Tsunami. 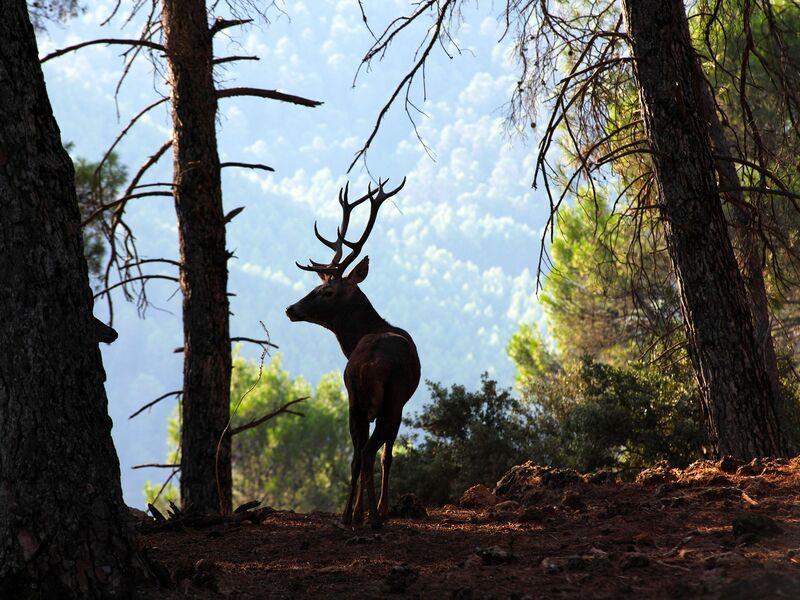 Spain: The large spaces of the Sierra Morena are densely populated by herds of Red deer. This image is from Wild Spain. 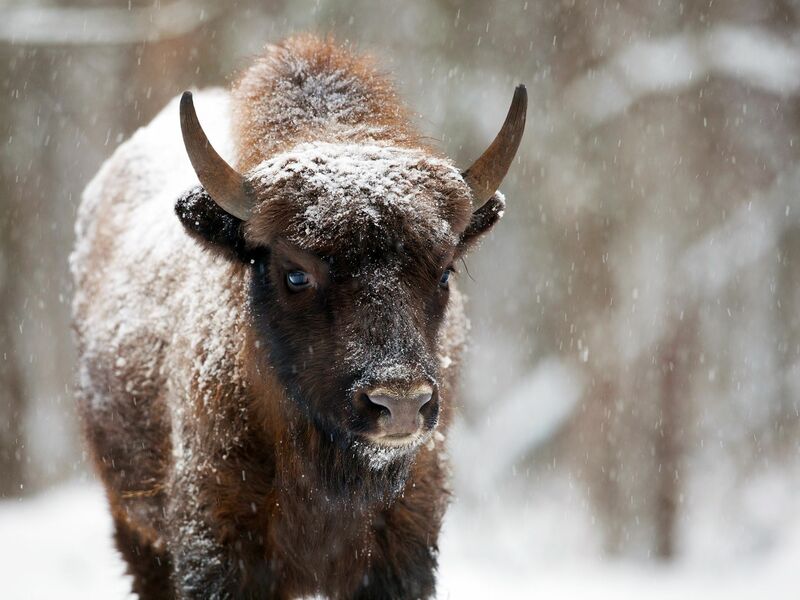 Khoiniki, Belarus: A bison stands alone getting covered by snow. This image is from Urban Jungle. 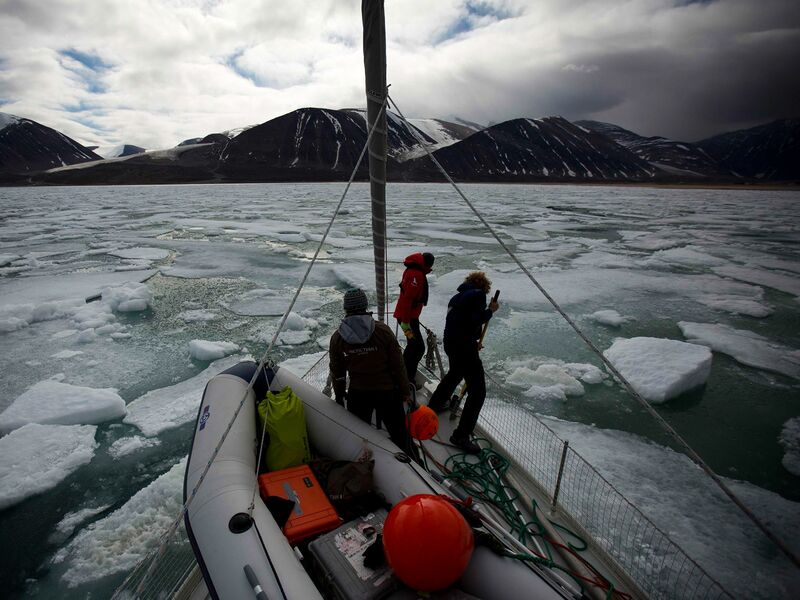 The film team pushing pack ice. This image is from Invasion of the Killer Whales. 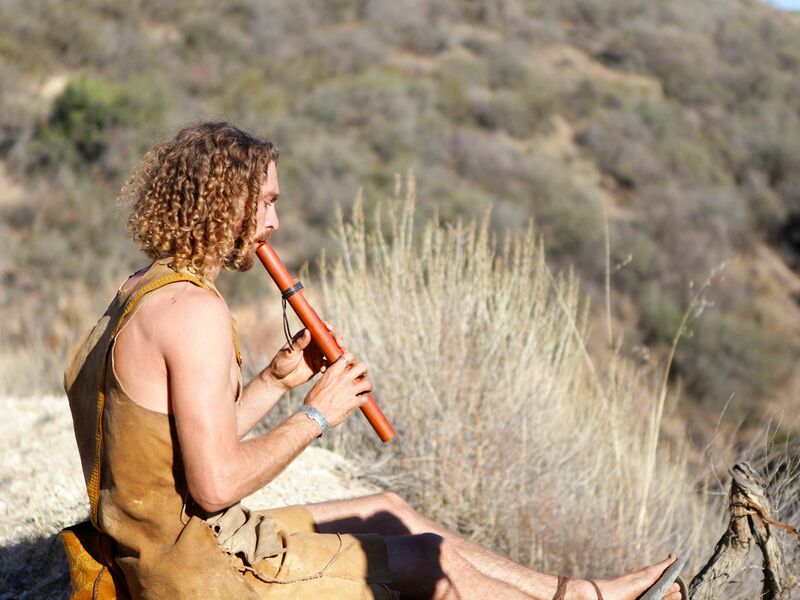 Santa Maria, CA, USA: Gabriel plays the flute. This image is from Live Free or Die. 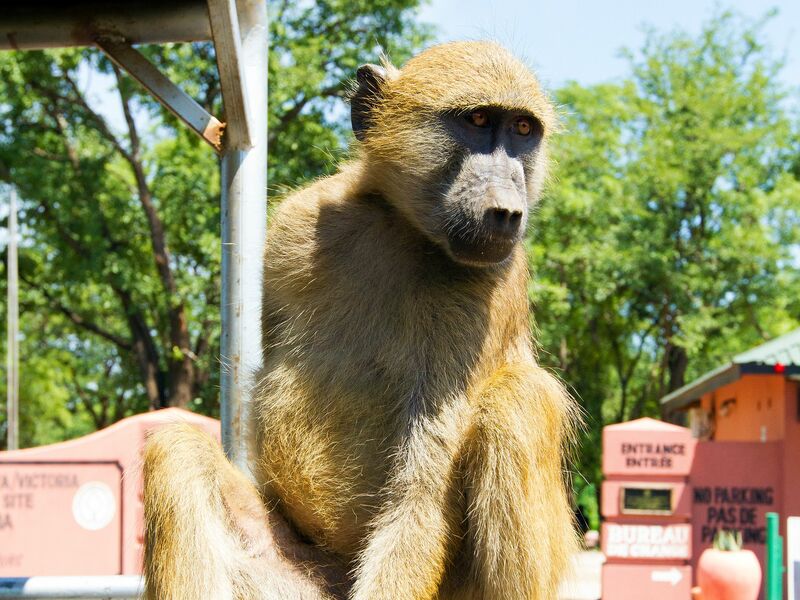 Victoria Falls, Zambia: A baboon rests on the back tyre of a jeep. This image is from Urban Jungle. 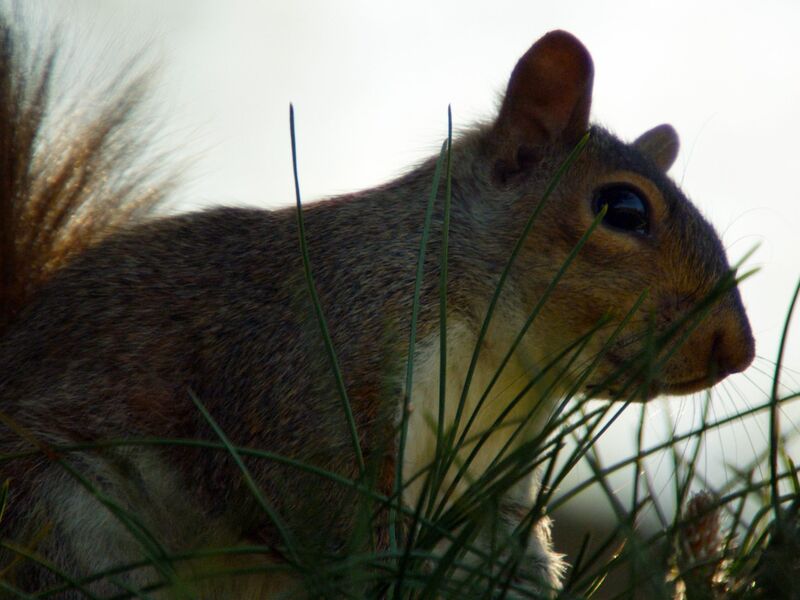 New York, NY, USA: A squirrel surveys its surroundings in New York City's Central Park. This image is from Urban Jungle. 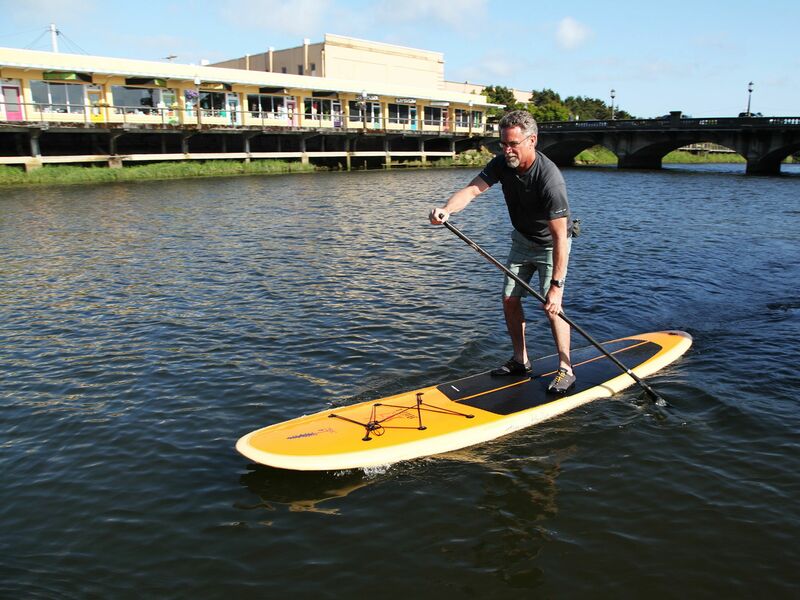 Seaside, OR, USA: Pat Corcoran Stand Up Paddle boarding along a high risk tsunami zone.â¨This image is from The Next Mega Tsunami. 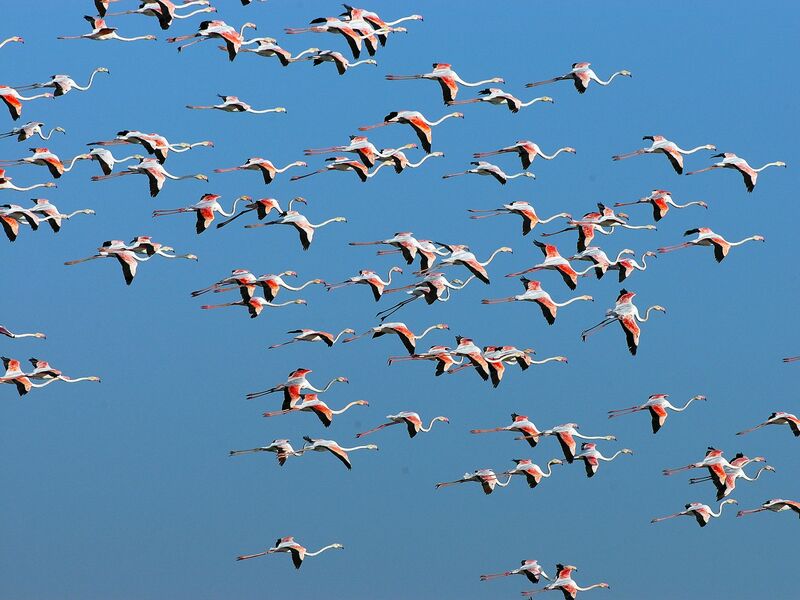 Spain: A group of vibrantly coloured flamingos takes flight in the Doñana region. These nomads can travel up to 300 kilometers in a single night. This image is from Wild Spain. New York, NY, USA: An urban red-tailed hawk still has the remains of its prey on its beak. This image is from Urban Jungle. 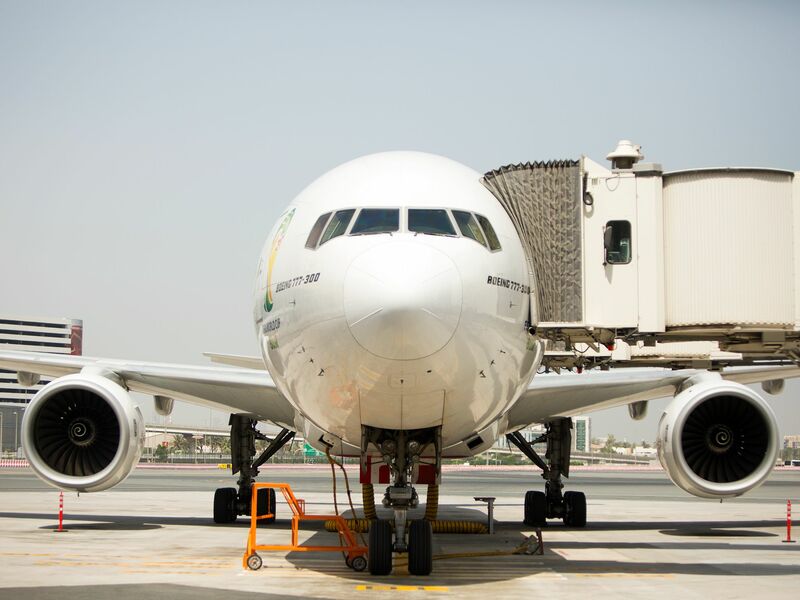 Dubai Airport, UAE: Shot of a Boeing 777-300, parked at stand, front view, aerobridge attached. This image is from Urban Jungle Ultimate Airport Dubai. 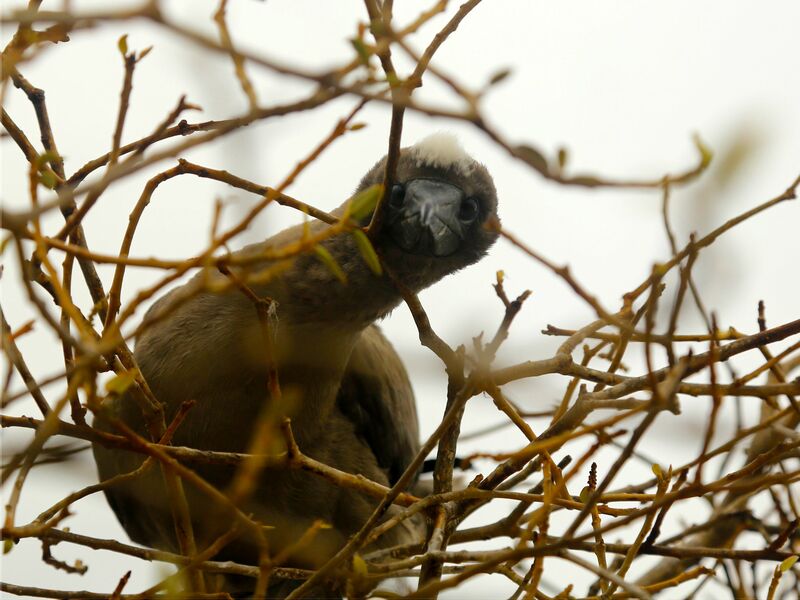 Pitt Point, San Cristobal Island, Galapagos, Ecuador: A juvenile red-footed boobie rests at a nesting site at Pitt Point, San Cristobal Island. This image is from Access 360°: Galapagos. 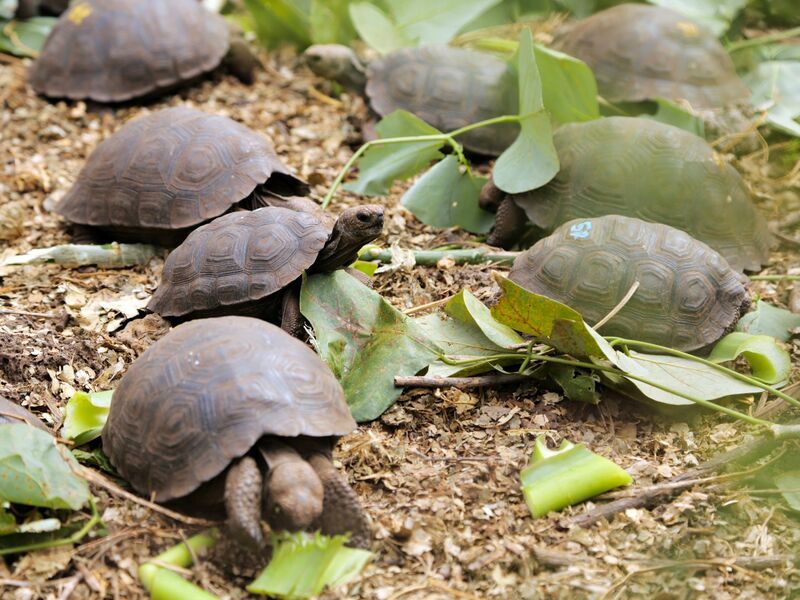 Puerto Ayora, Santa Cruz Island, Galapagos, Ecuador: Baby giant Galapagos tortoises feast on leaves at a breeding center at Galapagos National Park headquarters. This image is from Access 360°: Galapagos. 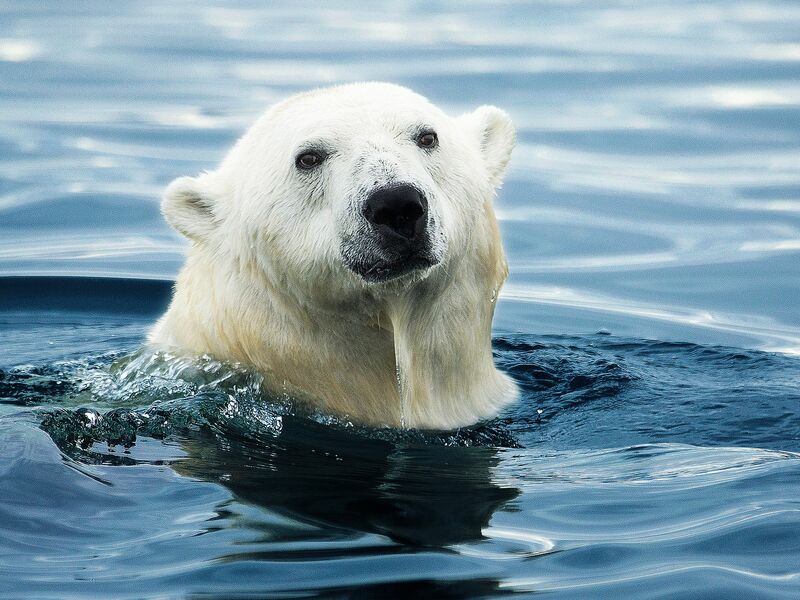 Polar bear swimming. This image is from Invasion of the Killer Whales. 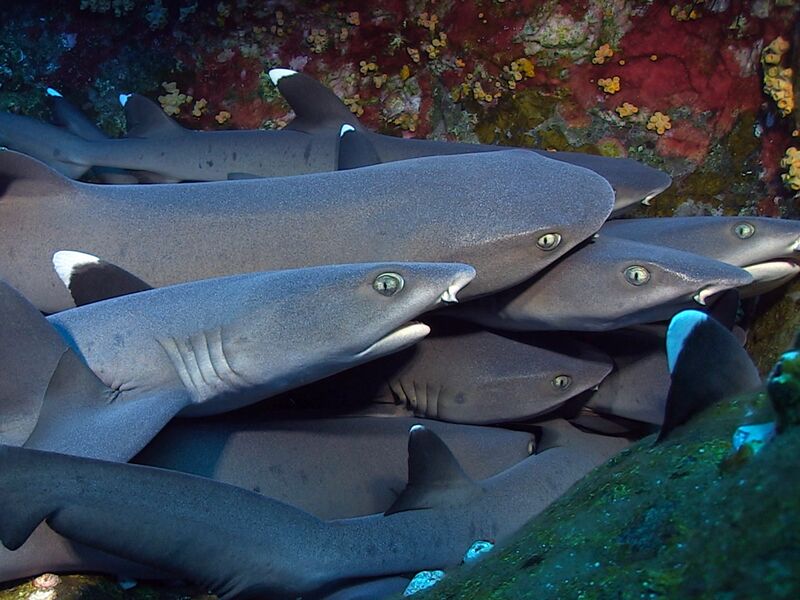 Socorro: The whitetip reef shark (Triaenodon obesus) is well-known for its habit of lying motionless in caves for hours at a time during daylight hours at widely scattered locations throughout the tropical Indo-Pacific. This image is from Shark Junction. 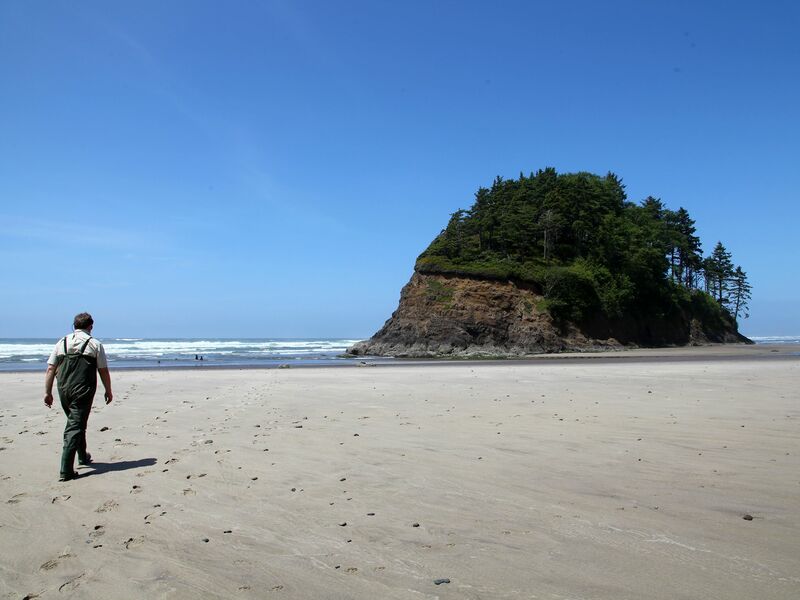 Neskowin, OR, USA: Professor Chris Goldfinger, Paleo Seismologist at Oregon State University walking on Neskowin Beach. This image is from The Next Mega Tsunami. 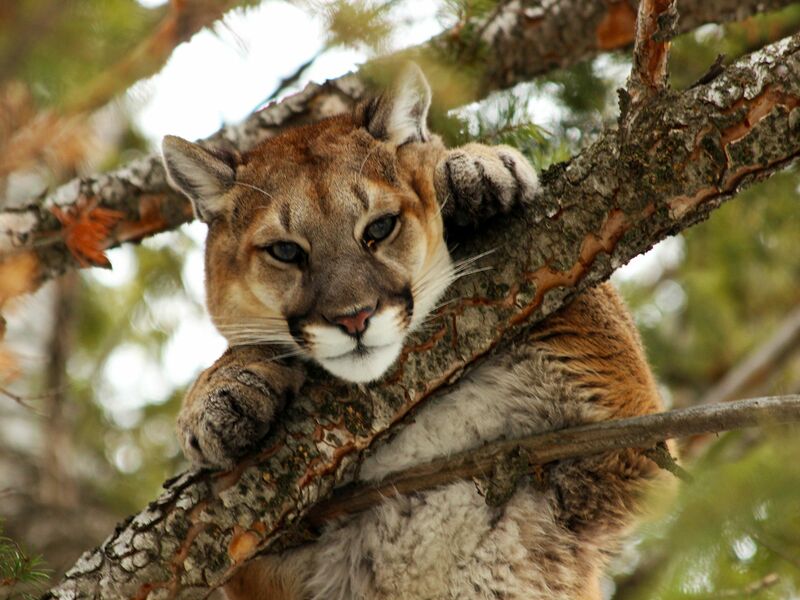 Preston, ID, USA: A mountain lion sits in the high branches of a tree and stares at the camera. This image is from Urban Jungle. 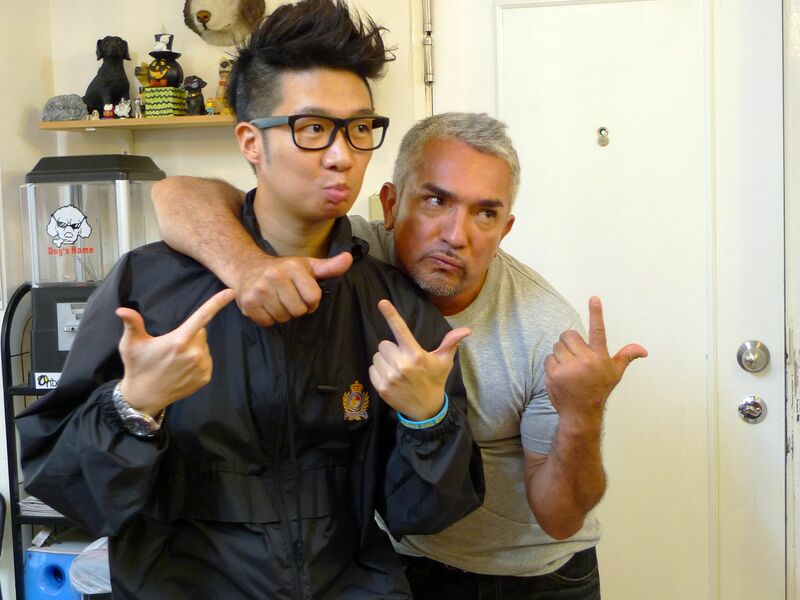 Hong Kong, China: Cesar poses for a photo with whistleblower Richard. This image is from Cesar To The Rescue Asia. 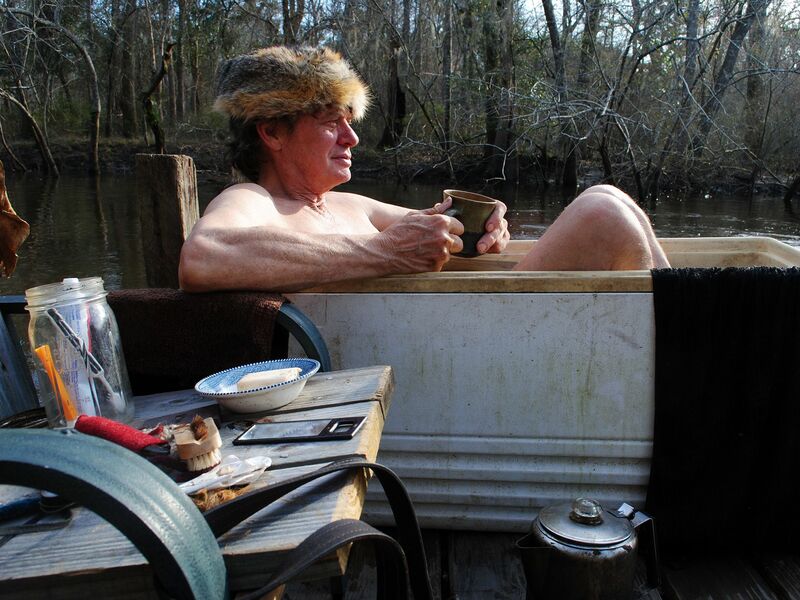 Valdosta, GA, USA: Colbert relaxes in his homemade bath tub. 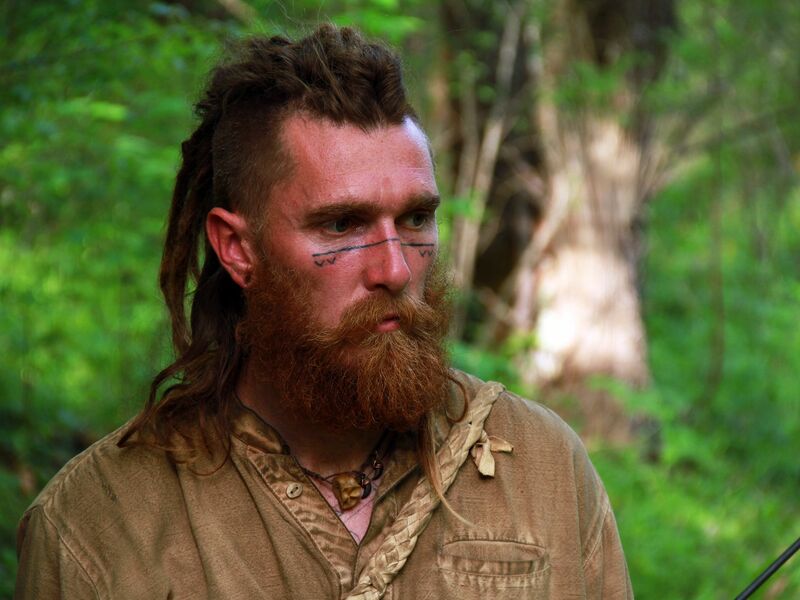 This image is from Live Free or Die. 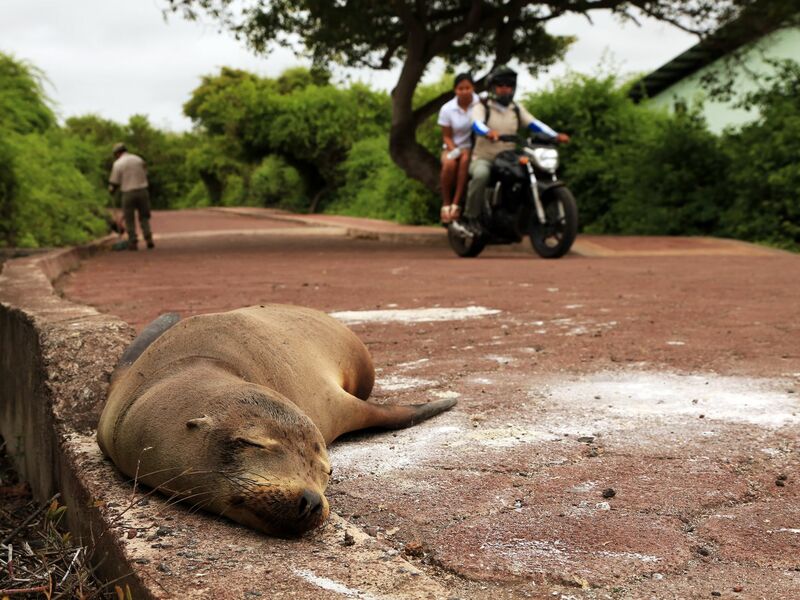 Puerto Ayora, Santa Cruz Island, Galapagos, Ecuador: A sea lion sleeps on the road at Galapagos National Park headquarters, Santa Cruz Island. This image is from Access 360°: Galapagos. North Andros, Andros, Bahamas: One the crops that Jeffrey Cartwright grows on his farm. This image is from Predator Patrol. 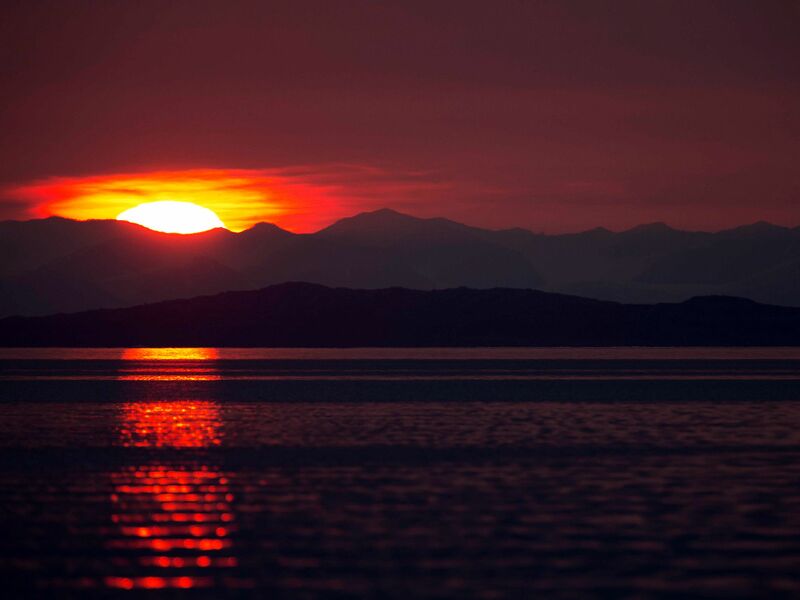 Sunset in the polar region. This image is from Invasion of the Killer Whales. 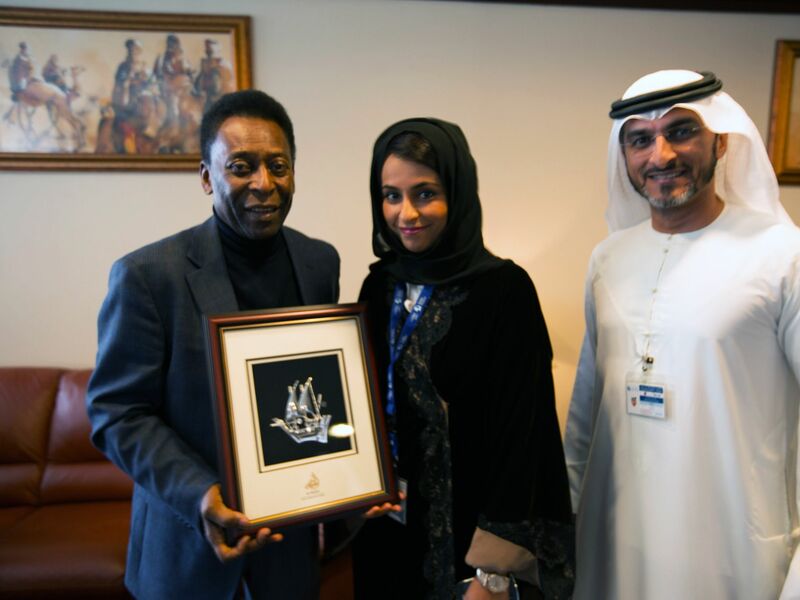 Dubai Airport, UAE: Pele poses for photos with Najla Al Midfa and Rabee Al Awadi. This image is from Urban Jungle Ultimate Airport Dubai. 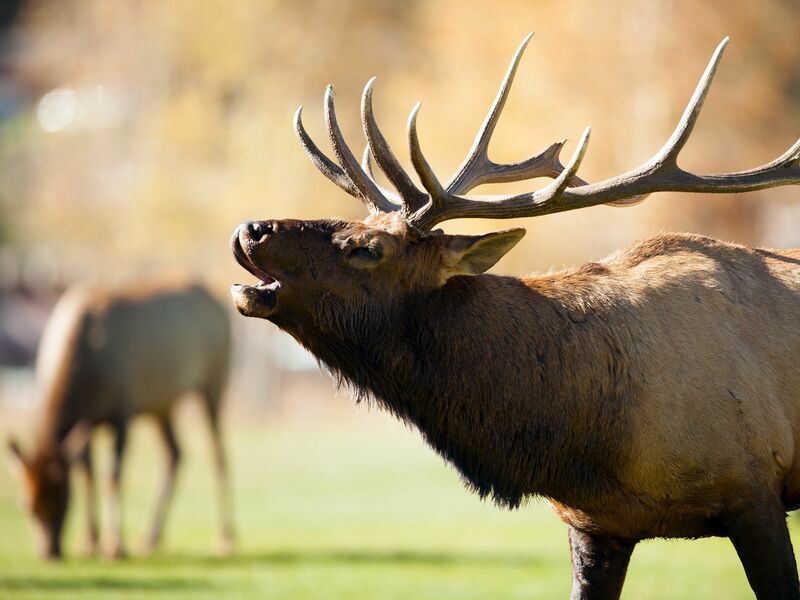 Estes Park, CO, USA: A bull elk makes loud calls to attract a possible mate. This image is from Urban Jungle. 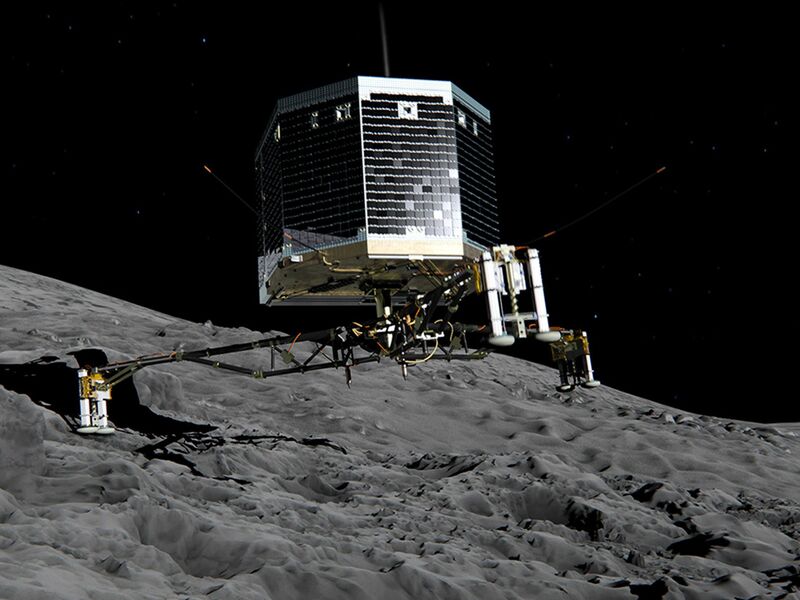 Still image fromÂ animationÂ of Philae separating from Rosetta and descending to the surface of comet 67P/Churyumov-Gerasimenko in November 2014.â¨This image is from Comet Catcher: The Rosetta Landing. 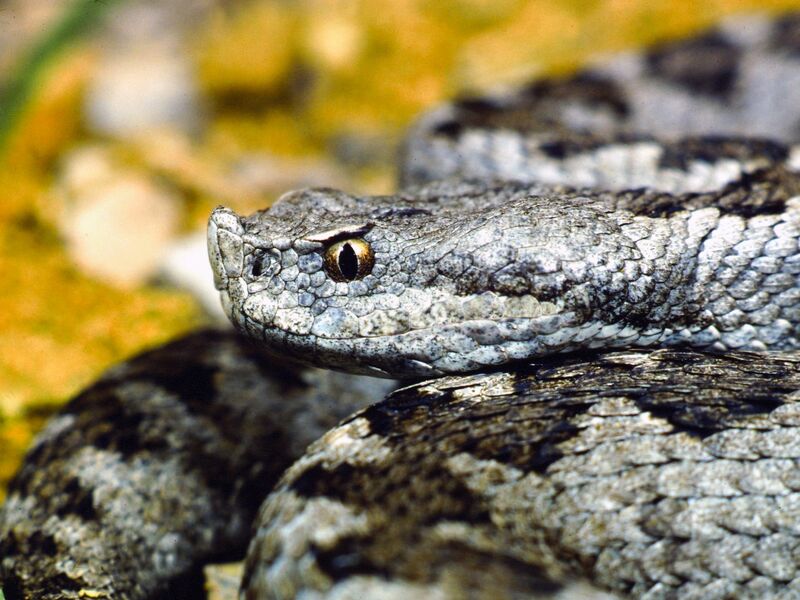 Spain: The Latasteâs viper can be seen day or night but usually it hides under rocks. This image is from Wild Spain.